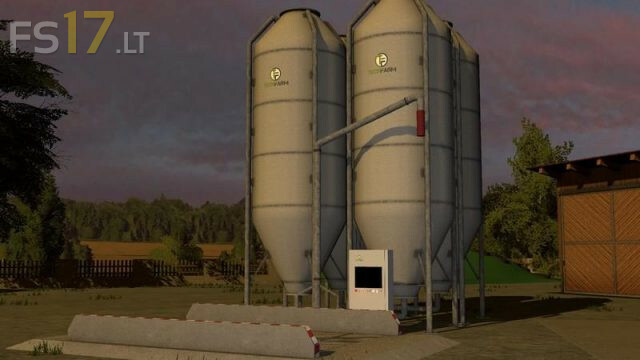 It is a grain storage, this can be placed, but can also be installed with the Giants Editor. It is possible to have more than one of these camps on a map (Suitable therefore optimally as Hoflager at several farms. Before unloading, the Bode Worked can be opened (right mouse button). When tipping then a tarp, which disappears slowly appears. The plant is to be switched on at the switch to the 'O' button. The pipe is placed on the discharge position and the display comes on. The loading can be started at the switch. You can not start / stop loading when you sit in the car !! To add new fruits, to be first in the Transform Groupe "FarmSiloSystem" in "fillType" entered the corresponding fillType. The FillTypen be separated by a space. As Results Next we need to add (Display -> Display) the display. It shows the name of the TG has the newly registered fillType match. Cannot seem to get this to work properly in a mod map!!! Mainly with the unloading or getting the Start Fill from the silo into a trailer. Am simply trying to use it as a placeable and not installing directly into mod map. Works GREAT for the in-game unmodded Gold Crest map…Just would like it to work in a mod map!!! This mod does not refill my trailer mods. It worked fine with the plain tippers offered in the shop, but not with my favorite modded tippers. Any chance for a fix? Otherwise, I’d like to use it!